Abby Hyder has been been very busy since winning this year’s W&L Showcase award. Most recently, Abby has just completed the second of her murals at No.15 Great Pulteney, in conjunction with W&L and featuring her signature monkey illustrations. 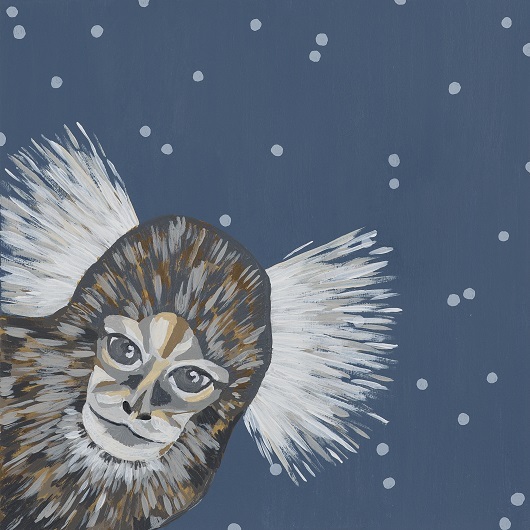 So on that note, and with Christmas just round the corner, what better opportunity to show you “Monkey’s First Snowfall”, our Christmas card image for this year, designed by Abby. Looking forward to the next stage of mentoring with Abby in 2017! Previous article Bulb planting – volunteers needed!